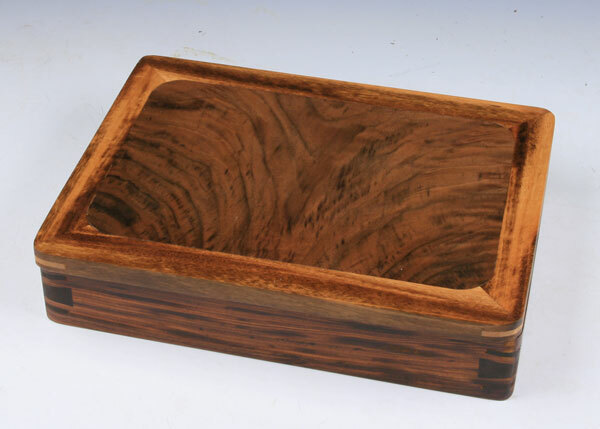 The perfect place to store your Exotic Wood Pen collection. 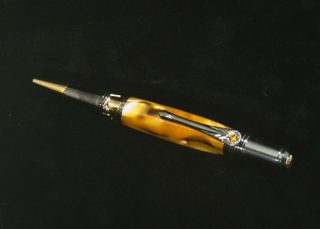 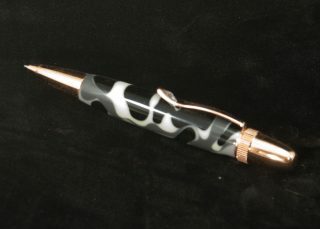 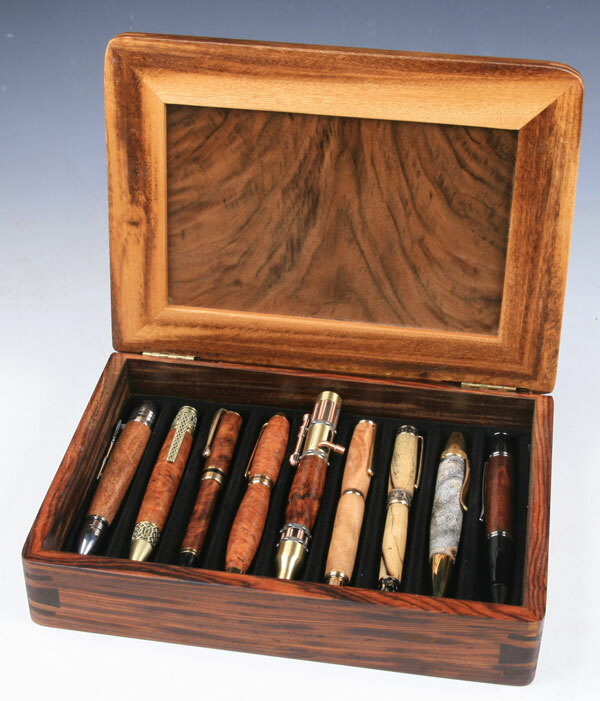 Ever since we have been offering Pen Turning at the South Florida Woodworking School, people have been looking for a fine handcrafted pen box to house their pens. 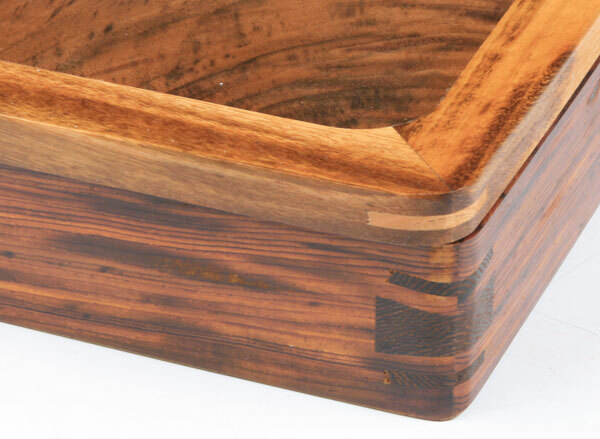 This beauty features a crotch walnut panel inlaid into a goncalo alves frame. 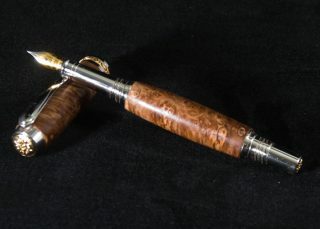 The body is cocobolo with wenge splines at the mitered corners. 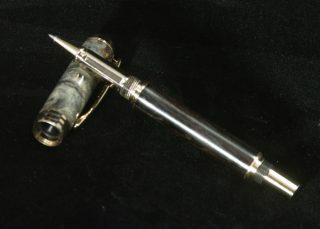 Each box is fitted with a soft velour flocked polystyrene plastic tray which will accomodate 9 pens.